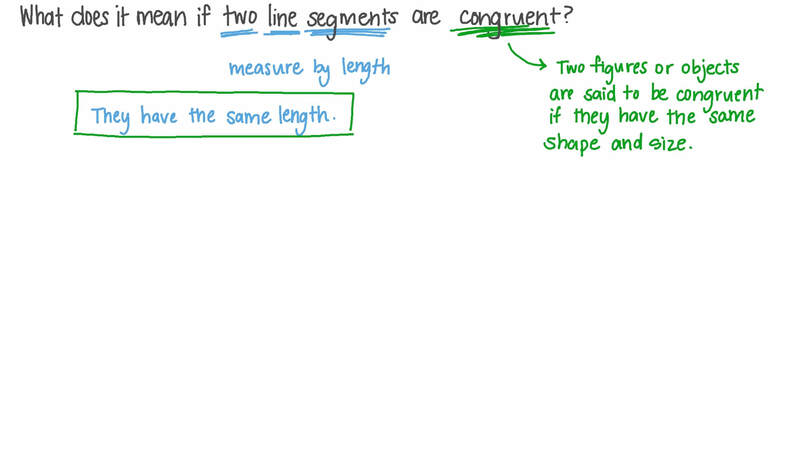 In this lesson, we will learn how to identify the congruence of two line segments depending on their lengths. 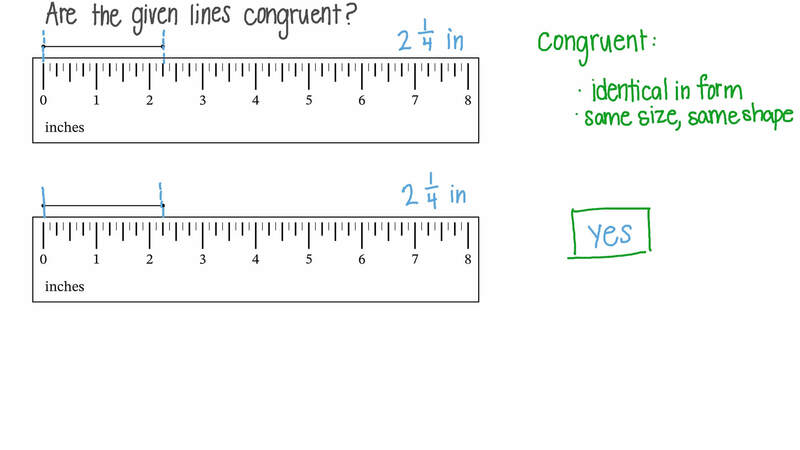 What does it mean if two line segments are congruent? AThey have the same length. BThey have the same measure. Are the given lines congruent? Are the two line segments congruent? Are 𝑆 𝑈 and 𝑉 𝑇 congruent? Use ≅ , ∥ , < , or > to fill in the gap: If 𝐶 is the midpoint of 𝐴 𝐵 , then 𝐴 𝐶 𝐵 𝐶 . Given that 𝐴 𝐵 ≡ 𝑋 𝑌 , what is 𝐴 𝐵 − 𝑋 𝑌 ? In the given figure, are 𝐴 𝐷 and 𝐵 𝐶 congruent? Given two congruent circles and arcs in them of equal measure, are the corresponding chords of equal length? Determine whether the following statement is always, sometimes, or never true: Congruent line segments have a common endpoint. Which line segment is congruent to A?